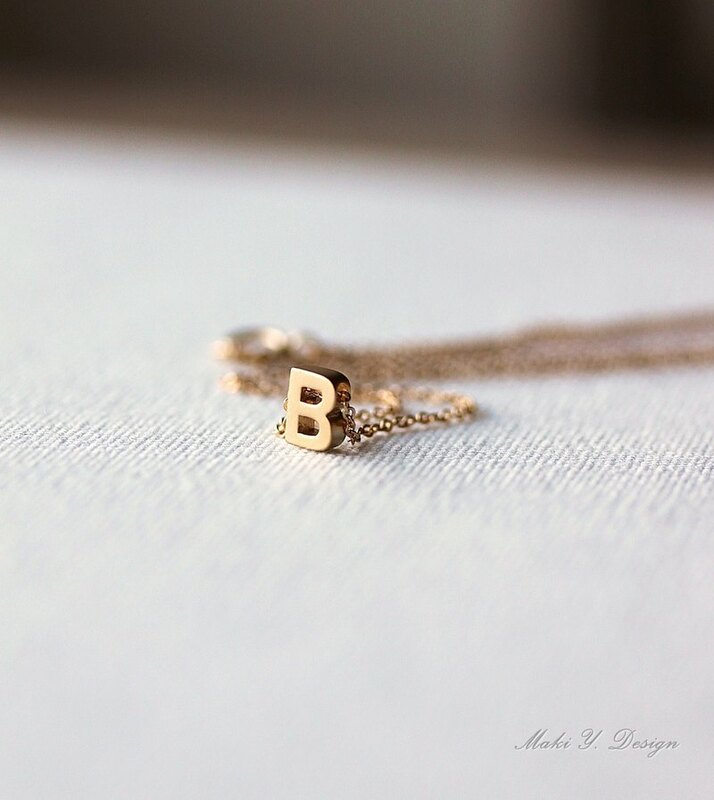 Mini Gold OR Silver Letter Necklace- Initial Necklace,Alphabet Necklace,Gift for Her,Simple,Stylish,Gold Letters,Silver Letters Simple Elegant Unique Those Petite 3D initial necklace is very beautiful. The tiny alphabet letter charm moves freely on the chain,very dainty minimalist jewelry. It's also great layered with other necklaces! This listing is for one initial necklace. Description: - Necklace standard length is 16" / 40cm - The tiny alphabet charms measurements: 7mm x 5mm with the matte finished. - Whole necklace made from gold plated OR Silver plated on brass. ♥This dainty necklace Gift Wrap Included.